After the weakest two-month period of the year, things improve for investors in this month. 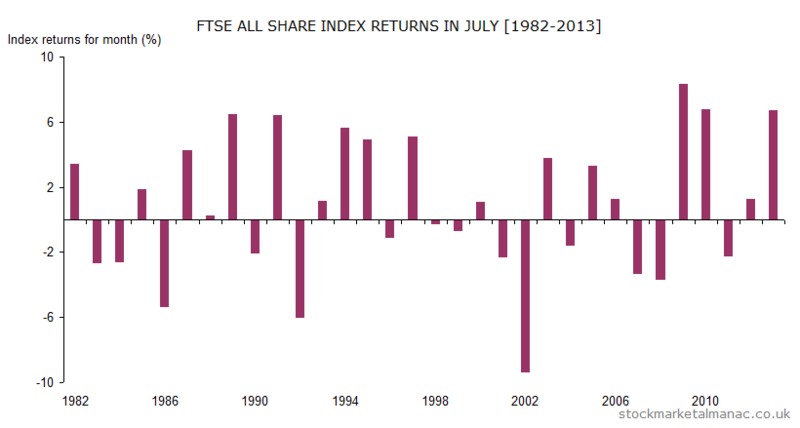 July ranks 5th of all months for performance: on average the market increases 0.8% in July, with a probability of a positive return of 55%. Although, in recent years, the market has been unusually strong: as can be seen from the accompanying chart, the market has risen over 6% three times in the past five years. The sectors which tend to be strong in July are Chemicals, Personal Goods and Technology Hardware & Equipment; while the weak sectors are: Beverages, Gas, Water & Multiutilities and Support Services. At the stock level, the five strongest FTSE 350 companies in July have recently been Greene King, Pace, Brown (N) Group, Wetherspoon (J D) and Dairy Crest Group; Greene King is the only FTSE 350 company whose shares have risen every July in the past ten years. Two weak July stocks are Petra Diamonds and Man Group. July has been the most active month for flotations; over 50 of the companies in the FTSE 350 Index have had their IPOs in this month. For example, the 18th July will see the 20th anniversary of the listing of 3i Group. It’s also a busy month for companies announcing their interim results: 23 FTSE 100 companies will be doing so, and 44 FTSE 250 companies. On the economics front: there is the MPC interest rate announcement on the 10th, the US Nonfarm payroll report on the 11th, and the two-day FOMC meeting starts on the 29th. The New York Stock Exchange will be closed for Independence Day on the 4th July. And the significance of that for UK investors is what? I’m glad you asked. 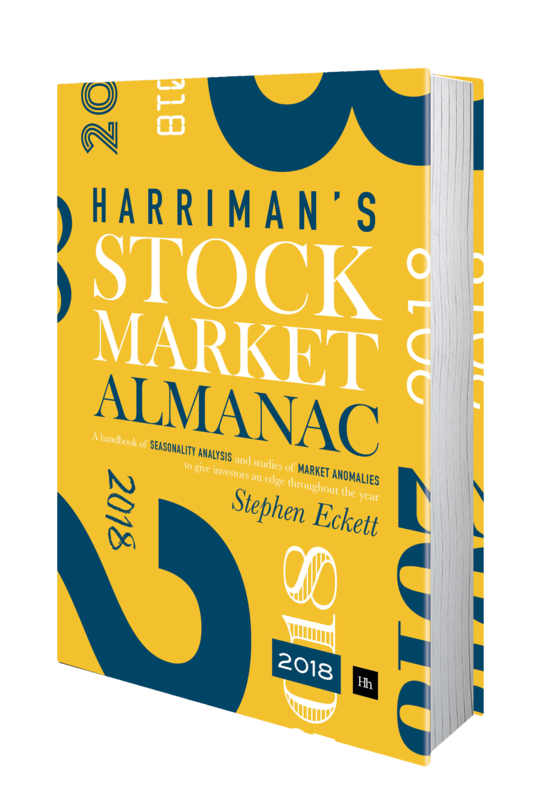 A recent academic paper presents research that shows that when the US markets are on holiday but European markets are open, the latter markets enjoy abnormally high and positive returns. There are six such holidays in the year. And, finally, to the question: do winners of the FIFA World Cup see a fillip in their national stock market? Short answer: no.